What is the Toolkit on Patient Partner Engagement in Research (TOPPER)? TOPPER is a comprehensive set of orientation materials that were created for the patient partners on the PCORI-funded study “Family-Centered Tailoring of Pediatric Diabetes Self-Management Resources” (Principal Investigator: Elizabeth Cox, MD, PhD). In this project, the patient partners are parents of youths and teens with type 1 diabetes and serve on the Parent Advisory Boards for the project; however, the materials in TOPPER can be adapted for a variety of types of patient partners. Patient partners are people who advise researchers throughout a research project; they include not only patients, but also their family members and caregivers. Patient partners can provide invaluable feedback to researchers, helping to plan studies, conduct them, and disseminate results. Involvement of patient partners across all phases of a project helps researchers identify the questions that are most relevant to patients and helps produce results that patients can use to make decisions about their care. Patient partners provide “real-time” feedback that can lead to important adjustments in study activities. For example, patient partners can advise researchers on recruitment plans and materials, data collection instruments and procedures, challenges with study implementation, interpretation of study findings, and plans for disseminating study results to meet the needs of various stakeholder groups. Patient partners in research work most effectively when they have completed an orientation program in which they can discuss their value, role, and responsibilities on the research project; learn about common research terms and processes; and practice giving effective feedback to researchers. TOPPER is based on an orientation program developed by the Wisconsin Network for Research Support (WINRS) from 2010 - 2013 under a National Institute of Nursing Research grant (Principal Investigator: Barbara Bowers, PhD, RN). As part of the NIH grant, WINRS developed two community advisory boards. The community advisors provide feedback to researchers at the University of Wisconsin-Madison and other research institutions on recruitment flyers, materials for informed consent, survey questions, focus group protocols, and other research documents. To prepare the community advisors for this role, WINRS developed a highly interactive orientation program grounded in principles of adult learning and appropriate for low-literacy learners. The program incorporated hands-on learning, a variety of instructional methods, and activities to help community advisors integrate new knowledge and skills with past experiences. Orientation activities focused on concrete skills to help community advisors provide constructive feedback on research materials. WINRS staff adapted their original orientation program to create a program specifically for the patient partners in Dr. Cox’s project. TOPPER contains original and revised materials from the WINRS orientation program, along with new materials to meet the specific orientation needs of the patient partners. Close collaboration between Dr. Cox, her research team, and WINRS ensured that the orientation program fully prepared the patient partners for their role on this particular project and for the specific research-related tasks that the project team anticipated for them. TOPPER contains the complete set of materials used in the three-hour orientation program for the patient partners (parent of youths and teens with diabetes) on Dr. Cox’s study. All of the materials are written in “plain language” and can be used with low-literacy patient partners. What are the skills that patient partners will gain? How does TOPPER promote ongoing engagement of stakeholders? The toolkit includes activities that interest adult learners, provide opportunities for self-expression, and build group norms for respectful, focused interactions. When used to guide an orientation session, the toolkit can provide the foundation for sustained, productive communication between the research team and patient partners. What do patient partners say about their role as stakeholders? Researchers, clinicians, and public health practitioners can use the toolkit as a template for developing orientation programs for various groups of stakeholders. The orientation materials can be used without revision or adapted for a wide range of patient, caregiver or community partners. Development of this toolkit was supported by a grant from the Patient-Centered Research Outcomes Institute (“Family-centered tailoring of pediatric diabetes self-management resources,” PI: Elizabeth Cox). Additional support was provided by grant RC4NR012372 from the National Institute of Nursing Research and by the Community-Academic Partnerships core of the University of Wisconsin Institute for Clinical and Translational Research, grant 9U54TR000021 from the National Center for Advancing Translational Sciences (previously grant 1 UL1 RR025011 from the National Center for Research Resources). The content is solely the responsibility of the authors and does not necessarily represent the official views of funders. Betty Kaiser, PhD, RN is Director of Community Training for the Wisconsin Network for Research Support. Dr. Kaiser specializes in developing orientation programs for patient and community partners who work with researchers. Gay Thomas, MA is Director of Community Engagement for the Wisconsin Network for Research Support. She advises researchers on practical strategies for building respectful, successful partnerships with patient and community stakeholders. Elizabeth Cox, MD, PhD is an Associate Professor and Director of the Program of Research on Outcomes for Kids (PROKids) at the University of Wisconsin - Madison Department of Pediatrics. 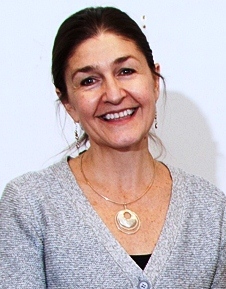 Her research seeks to improve children’s health outcomes by leveraging the voices of children and parents to deliver care that they want and need at a time of their choosing in a manner they find most helpful. 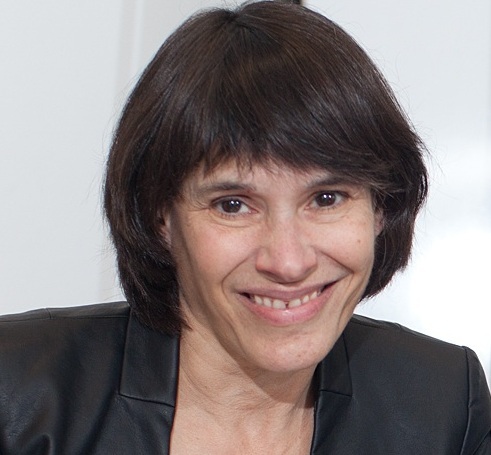 Gwen Jacobsohn, PhD is Research Coordinator at the Program of Research on Outcomes for Kids (PROKids) in the University of Wisconsin – Madison Department of Pediatrics. Her research examines the effects of pediatric health communication on child health outcomes, and she also has a professional background in facilitating multi-level stakeholder groups.